These days everything revolves around how much cost is incurred in order to procure a certain item, or subscribe to some services. Money is a major topic in most households and in no way are living costs heading south, hence our spending has to be the one that decreases. While that is definitely a noble thought, the actual process of exercising that idea is a whole different story. With anything, we need someone (or something) to guide us along step by step until we are ready to take it on our own. This can be applied to managing our finances as well. 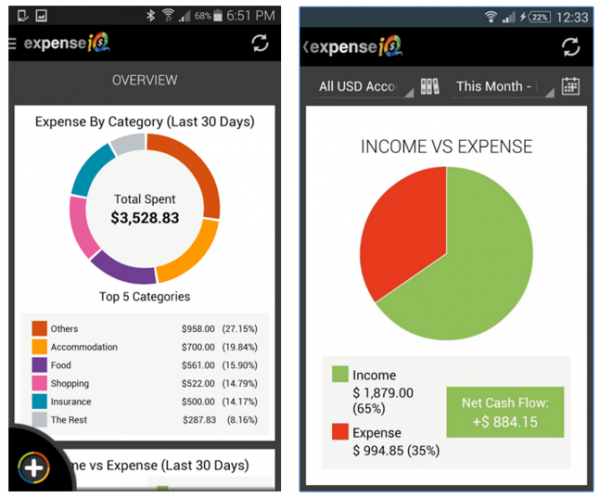 The world is getting all the more connected day by day and there’s an app for everything, so why not use one to manage your expenses as well? 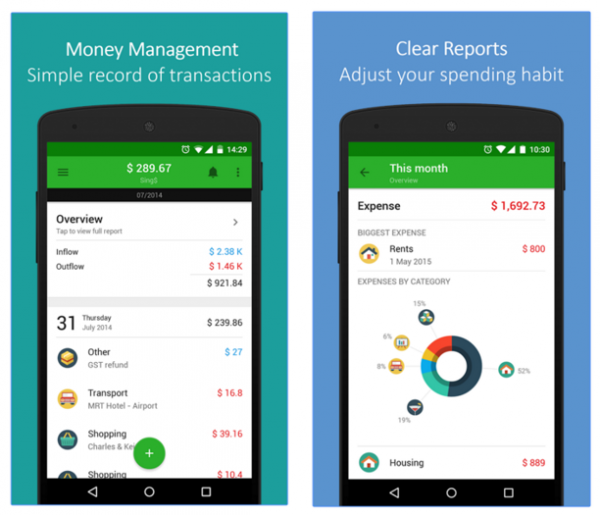 These 10 apps will help ensure that your spending is on point so you can shrug the stress off your shoulders and make way for a cleverly sorted out financial future. There are so many available in the app stores nowadays that makes the options plenty. However, just opting for one or two is enough to track your spendings and successfully plan out your budgets. 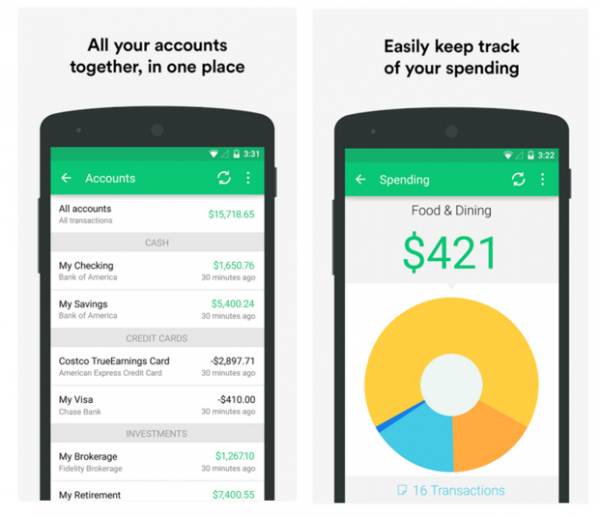 This app lets you key in all the spending details, so that you can obtain daily, weekly, monthly or yearly reports of your spending. Sometimes, it’s just essential to see where all the money had gone to, and its easiest to view in a detailed graph or chart. Paired with bright colourful icons, this app is easy to use and you are also able to back up your details on Microsoft Excel. The categories are comprehensive so you can even log in details spent on things like medical and investment. Most people have a certain budget for how much they are able to spend on food, accommodation and others. As such, Mint is the perfect app to virtually deduct how much you have already spent, and what amount of cash you still have to allocate for certain things, in the month. 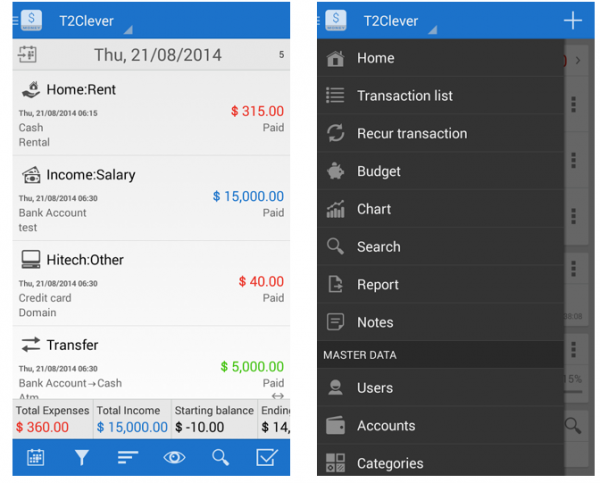 Money Lover is good tool to manage debts and savings and it is all available in one simple app with the added benefit of being attractive as well. With this app users are also able to manage the spending of their family members with multiple accounts—hence housing the family spending all under one app. If you are always forgetting to pay your bills on time, this app will be your own personal reminder so that you will never be late again. 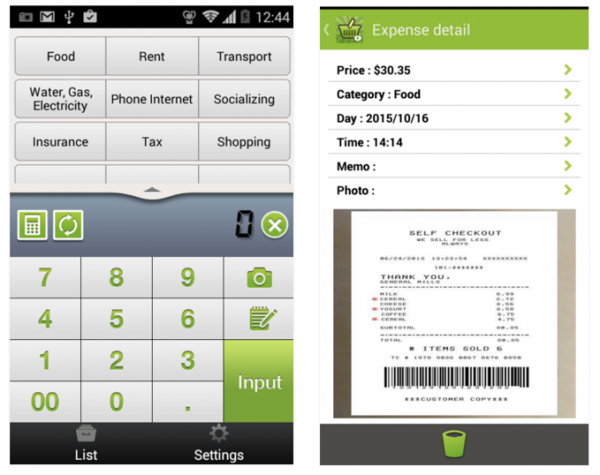 Other benefits of the app is that you can snap photos of your bills and receipts if you are too lazy to key them in at the time. There was once a concept of money jars whereby people would store their cash in different labelled jars whether to plan for travel, a new car or even to purchase their own place. 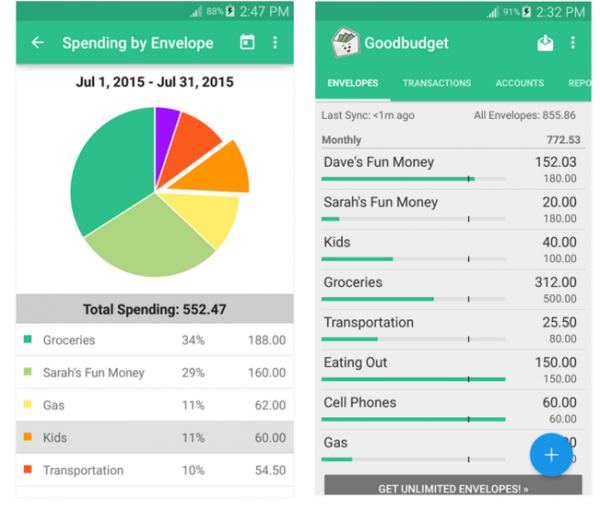 Good Budget distributes its users spending into envelopes so there will be unlimited envelopes in the app, which essentially serve as categories for each form of expenditure. If you are always boggled by where all your money went to and denial is underway for the amount of spending you have had in the month, then this app can counter that for you. It is clearly stated in ‘Top spend areas’ the categories which its users has spent the most in. 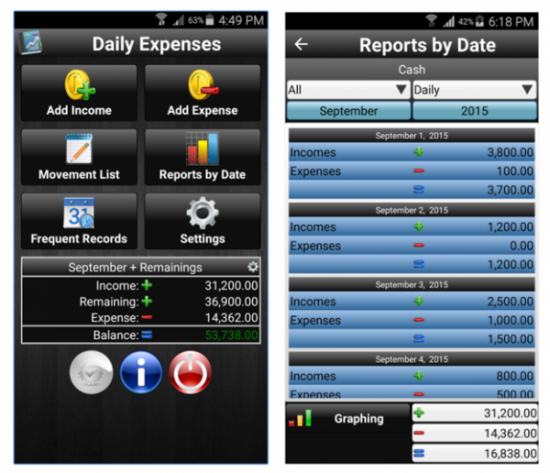 Quick Money Recorder is a user-friendly app which again allows for users to take snapshots of their own receipts and is one step up from simply recording expenses manually on a notebook. This is because simplicity is synonymous with this app with no fancy features—perfect for those who are looking for something easy to use. 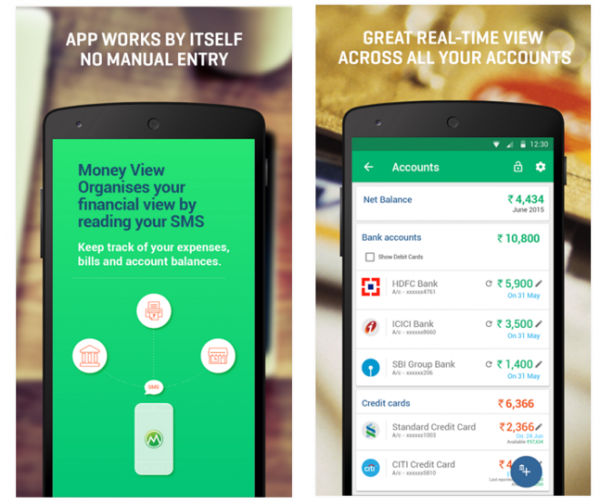 Expense Manager & Money Saver lets users sync bank accounts and they do this by smart analysis of the messages that you receive from banks and billers. 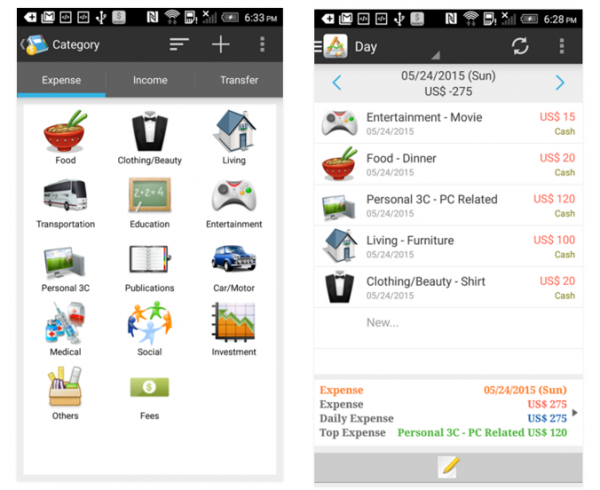 It also allows users to set their own monthly budget so as not to overspend. 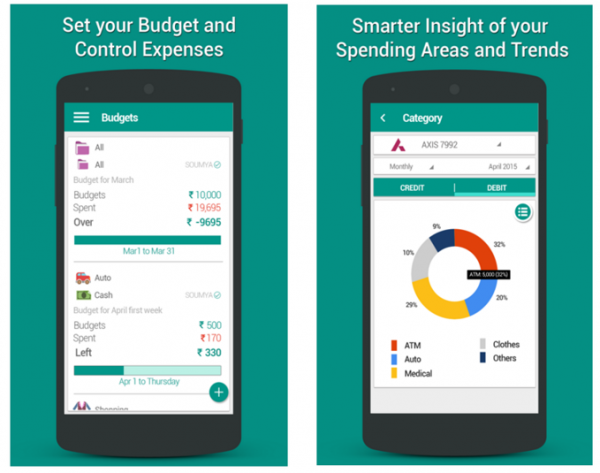 This comprehensive app is a one-stop tool for all things finances to keep you up to date on all your expenditure. 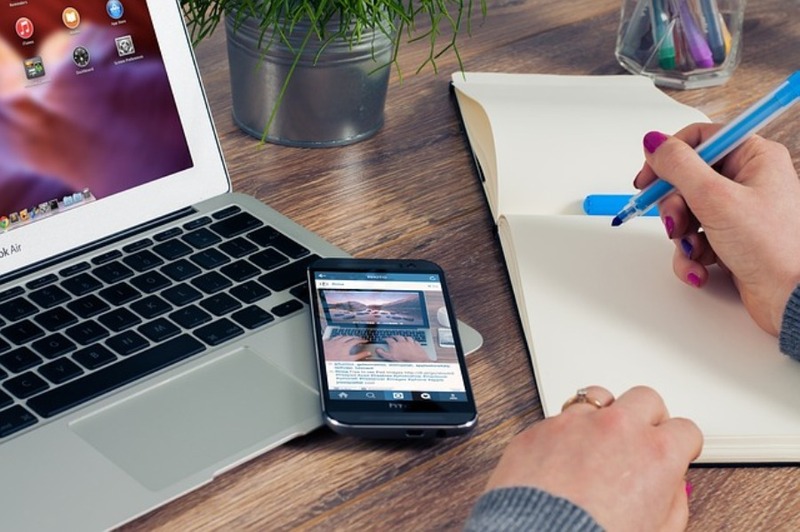 On top of that, it also contains integrated tools such as an EMI calculator, currency converter, sales and tax calculator as well as a tip calculator.